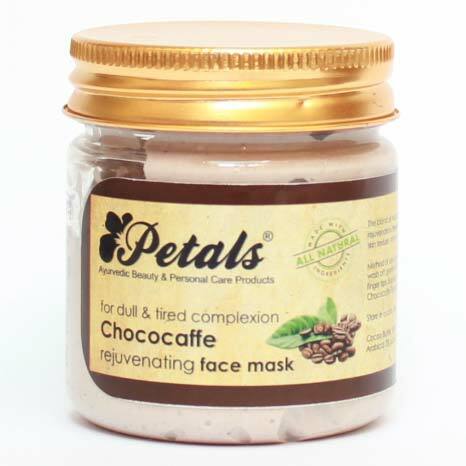 We hold expertise in manufacturing, exporting and supplying of Petals Choco Caffe Rejuvenating Face Mask from Rajasthan, India. The Rejuvenating Face Mask we offer is formulated by professionals in compliance with set industrial standards. Customers can get in touch with us and rely on us for prompt delivery of Choco Caffe Rejuvenating Face Mask across the globe.